Visiting the dentist isn’t anyone’s favorite part of the year — but if you’re downright afraid of having your teeth looked at, you may be letting your dental fear get in the way of your healthy, lasting smile. Fortunately, there is a way out of anxiety when you visit a sedation dentist in Jacksonville. Keep reading to learn more about this relaxation method and how it can help you smile your way through your next appointment. There are a number of reasons someone may be afraid of visiting the dentist. For many people, it is the simple fact of giving up control for an hour or more. After all, you may feel quite vulnerable leaned back with your mouth open wide. Other patients may have general anxiety, or remember a less-than-positive dental experience as a child. Fortunately, there is an intervention — and it can come in the form of nitrous oxide or oral conscious sedation. Nitrous oxide (a.k.a. laughing gas) is highly effective for helping people to relax throughout minor procedures, like a filling or gum disease treatment. When combined with local anesthesia, which numbs the jaw, nitrous oxide makes you feel light, tingly, and maybe even happy to be at the dentist. Oral conscious sedation, by comparison, is a good option for people with moderate anxiety or those undergoing more extensive dental procedures. With the help of a pill you take orally about an hour before the procedure is set to begin, you can feel super-relaxed before you even step foot in the dental office. Then, you will settle comfortably into the chair and relax throughout the treatment — technically awake, but fully removed from the sights, smells, and sounds of what is going on around you. 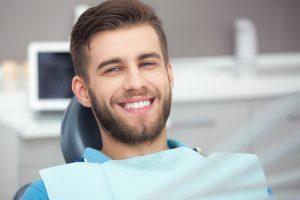 Patients who have severe anxiety or need a serious procedure and for whatever reason cannot sit in the dental chair for long periods of time may need general anesthesia, which puts you completely to sleep. Sedation dentistry offers a number of benefits for patients who are at-risk of letting fear get in the way of their routine dental care. If you are interested in nitrous oxide or oral conscious sedation, now is a great time to get in touch with your dentist in Jacksonville! Do so and you just may be surprised how fun it can be to go to the dentist. The Jacksonville Dental Specialists provide comfortable, comprehensive dental care for friends and neighbors of all ages — including sedation dentistry for patients who wish to relax their way through an upcoming appointment. To learn more about this service and which option is right for you, do not hesitate to get in touch with their office at 904-683-4781.